The Bureau of Engraving and Printing created stamp show cards that featured previously issued stamp designs. 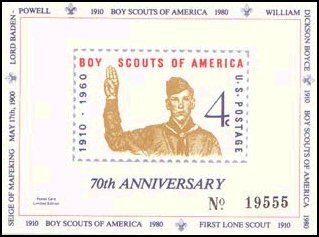 None of the BEP show cards included Scout theme stamps. This was left to privately printed souvenirs of stamp exhibitions. 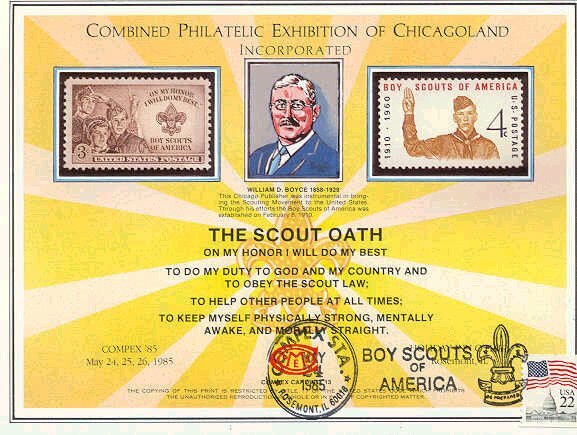 Here are some Scout topical examples of show cards in the United States. This was a souvenir of the National Stamp Exhibition held in New York City by the American Stamp Dealers Association (ASDA). 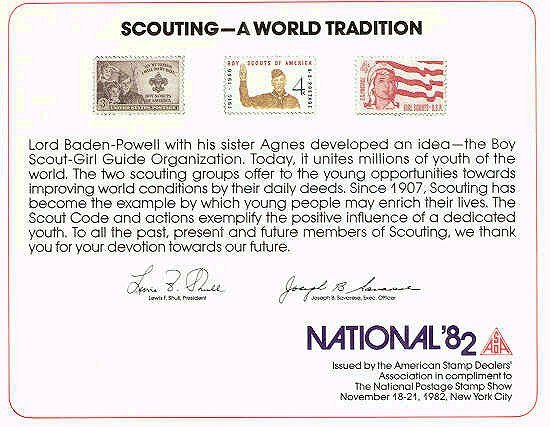 The card pictures US #995, #1145 and #1199 Scout stamps. The card also describes the history of Scouting. This was a souvenir of the COMPEX Stamp Exhibition held in Chicago, IL and pictures the US #995 and #1145. 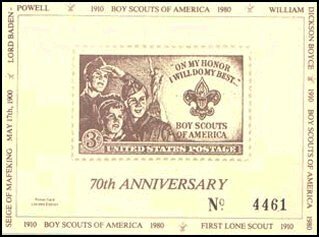 The card also honors William D Boyce and the Scout Oath. A private printing created two souvenir cards using #995 and #1145 in their design to honor the 70th anniversary of the Boy Scouts of America. 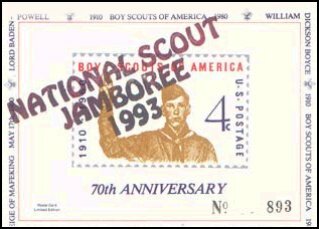 The 1980 souvenir card with #1145 was later overprinted for the 1993 National Scout Jamboree.